Deadlines are everywhere, especially in university. Essays, projects, rent, tuition, graduation application — it can be a lot to keep track of. But perhaps the most trivial deadlines a student can miss are the ones enforced by the library. Which is how, at the end of my first year at UVic, I found myself swimming in over $100 of library fines. Or, to be more precise, one research project, half a dozen overdue books, and my own carelessness landed me there. This is an extreme case, but at the heart of it is a real issue: steep fines limit the accessibility of library resources. 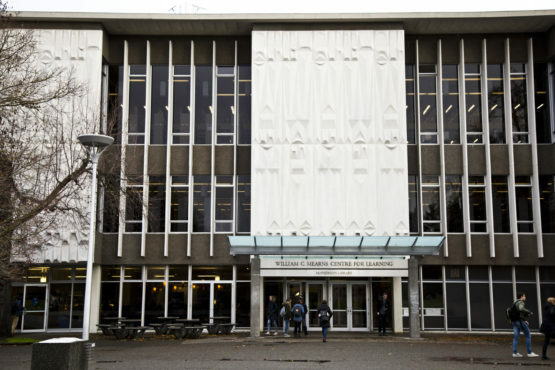 At UVic, an overdue library book will charge you a dollar for each day you fail to return it. After 30 days, the book is declared lost and the cost of the book is charged to your account. Once a student accumulates more than $20 worth of fines, they must pay it down below that limit before they’re able to check out any books, or make recalls. This might not sound like much, but that means students can be made to pay hundreds of dollars — all for what should be harmless absent-mindedness. 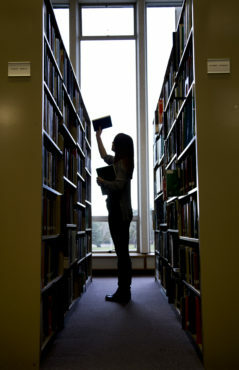 Students who are the least equipped to tackle this unexpected expense often have bigger concerns than their overdue library books, like keeping their grades within scholarship requirements or maintaining jobs in addition to their classes. These late penalties are much harsher than you will find elsewhere in Victoria. The Greater Victoria Public Library [GVPL] charges $0.30 a day for late books, and gives patrons 45 days before they fine for the full cost of the book — although the GVPL website also states they may refer unpaid fines of $25.00 and over to a collection agency, a far harsher stance than UVic’s. Two universities in B.C. have recently discontinued fines for most books in their libraries in favour of systems that do an arguably better job at balancing support for students and the preservation of the school’s resources. When [library fines] prevent students who can’t afford to pay from accessing resources, the system undermines the value of the library as an equal-opportunity resource. In February 2017, Thompson Rivers University removed their late-fee policy for a “new student-centered approach towards making the library more user-friendly.” All past fines on ordinary book loans were wiped out, to encourage more people to return items and continue using the library’s services without fear of repercussions. If a book is overdue for too long, the student can’t check out anything new until it has been returned or paid for — but they do not get fined for late returns. Simon Fraser University has also removed late penalties for most books at their library as of May 2018. Although they did not forgive existing fines, they did extend the loan periods for students to one semester. 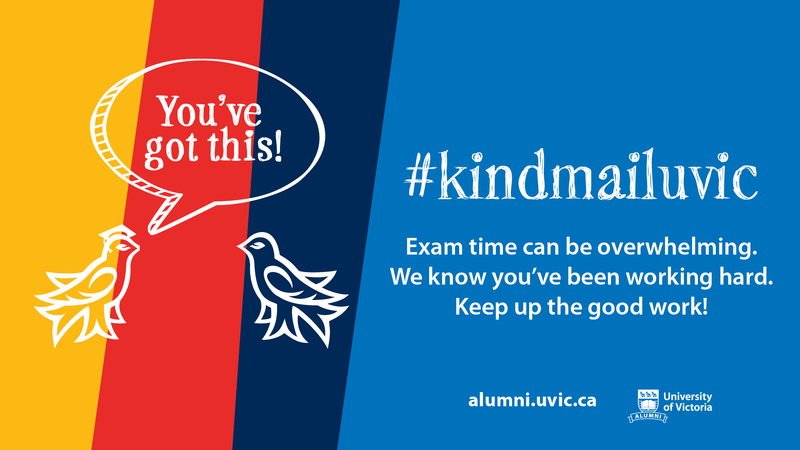 UVic does have an appeal form for those who wish to try to reduce or cancel their charges. However, if you didn’t know about the library’s overdue policy, didn’t receive a notice to return your book, forgot the due date, or were out of town, you’re out of luck — your appeal will almost certainly be rejected, according to the library’s website. Library fines do serve a purpose — they provide a monetary incentive for books to be returned in a timely manner, so that resources can continue to be accessed by other members of the campus community. But when they prevent students who can’t afford to pay from accessing resources, the system undermines the value of the library as an equal-opportunity resource. At the very least, the university should improve the library’s current appeal system to take into consideration the limitations and characteristics of the library’s primary demographic. Without a needs-based appeal system for students struggling under the financial weight of these fines, not to mention tuition and other expenses. UVic’s current policy disproportionately impacts students from lower socioeconomic classes. With my fines, I was lucky. Through the one-time 50 per cent fine forgiveness program and my diligent participation in the annual Food For Fines program (which can remove up to $20 of debt per year upon the donation of non-perishable goods), I have been able to get them down from over $100 to a more manageable sum. But not all students can afford to wait for incremental fee reductions when they rely on library resources for papers, projects, and even textbooks. Library fines are definitely not the biggest issue faced by UVic students on campus today — students can, after all, solve this easily by simply returning their books on time. But since we all know UVic has no immediate plans to lower international student tuition, divest from fossil fuels, or #StopStarbucks, this could be one small step they can take towards improving accessibility on campus.